Having your own exercise space at home is a fantastic way to ensure you stay on track with your health and fitness goals. It saves time, eliminates excuses, and is much cheaper than paying monthly or yearly membership fees to the local Crossfit box or national health club chain. Determine how much free space is available. 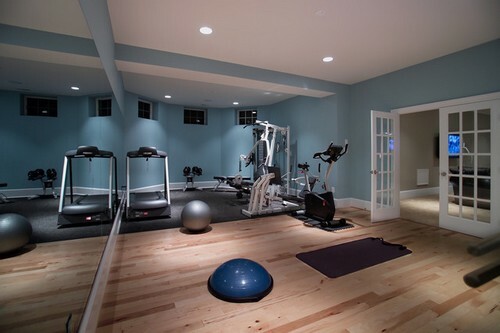 Besides budget, the single most limiting factor for home gyms is floorspace. Take careful measurements of the proposed area before doing anything else. Decide on the activities you intend to engage in most frequently. A yoga studio will have a very different look and feel than a weightlifting room or a cardio center, so you’ll have to prioritize if you don’t have enough space to include everything. Make a list of the equipment you need and start making purchases. Smaller items like dumbbells, stability balls, foam rollers, kettle bells, and resistance bands shouldn’t be an issue, but be sure to check the manufacturer’s dimensions for large items like weight benches, power racks, treadmills, and all-in-one exercise stations to confirm they’ll fit in the allotted space. Protect your floors and equipment with gym rubber. Exercise equipment is heavy and can cause permanent damage to unprotected flooring, which is why it’s important to lay down some gym rubber from Foam Factory first. Gym rubber foam sheets come in various thicknesses and densities, making them perfect for activities such as yoga, Pilates, stretching, and gymnastics, as well as for protection against the dings, scratches, and dents to floors caused by dropped gym equipment. Build your gym slowly and add to it as needed or desired. If you don’t have the resources to purchase all of your home gym equipment at once, buy what you can now and continue adding more items as your fitness progresses or as your budget allows. If getting in shape and staying healthy is a priority in your life, then building a home gym can help you on your journey. Begin implementing these tips today and be sure to visit TheFoamFactory.com to order all the gym rubber foam you need to protect your floors.